Who is Scott County Emergency Management Agency? The Scott County Emergency Management Agency was created under state law to carry out emergency services at the county and city level. The agency is independent of local governments and follows state laws and regulations set out by the State Emergency Management and Security Divisions. In 2007, state law was amended to include communication centers as part of the functions that can be provided by the County Emergency Management Agency. 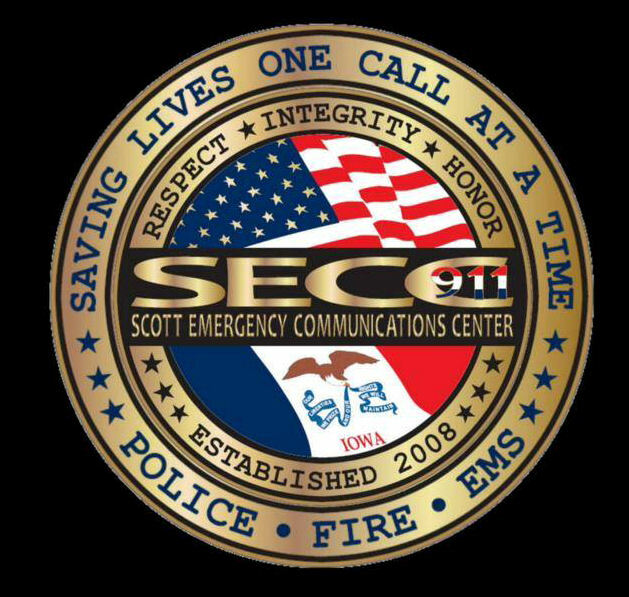 Scott Emergency Communication Center (SECC) is an authorized organization of the Emergency Management Agency and has a separate board and governing agreement. SECC’s responsibility is to provide emergency communication services to our member public safety agencies including 9-1-1 dispatching and recordkeeping as well as radio communications to all county agencies and a fiber connection that connects to the other Quad Cities Dispatch Centers. The agency was created to consolidate three public jurisdiction’s dispatch centers (Bettendorf, Davenport and Scott County) and one nonprofit center (Medic Ambulance) and to provide an overall cost savings to all the agencies within the organization. This consolidated center provides improved and more reliable 9-1-1 dispatching and recordkeeping service to all agencies within Scott County and also provides the ability to keep up with the newest technological advances in the area of public safety communications. The Emergency Management Agency and Scott Emergency Communication Center are independent authorized agencies that determine their service level and funding. While the County Board Chair is a member of the SECC Governing Board, the county has no legal authority over the agency or its budget. However, the County Board must ensure that all appropriate actions are taken to fund the financial requirements of the agency. The County Library funding has a similar requirement of the County Board. The separate levy allows all taxpayers to pay once for the service by eliminating more than one jurisdiction to tax for the services. The Scott County Board reduced its supplemental levy and passed those savings onto their residents.